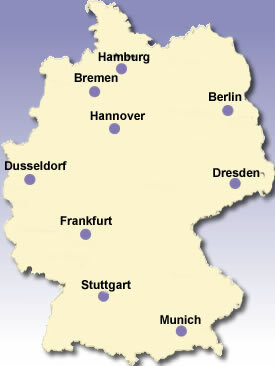 Flynn Cargo provide shipping to Germany and have a proven track record of excellence. Germany: Destinations include Hamburg, Osnabrueck, Hannover, Berlin, Dusseldorf, Frankfurt, Stuttgart, Munich and all areas of Germany. Germany – our German road freight service operates daily for export and import. Transit times vary depending on the collection and delivery points.